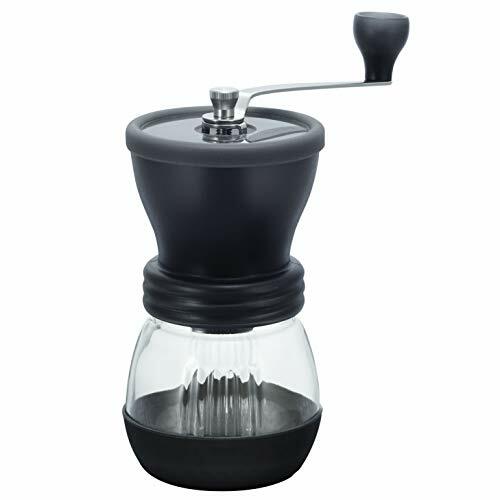 The Norpro Coffee Grinder is a terrific little decor piece that grinds coffee. 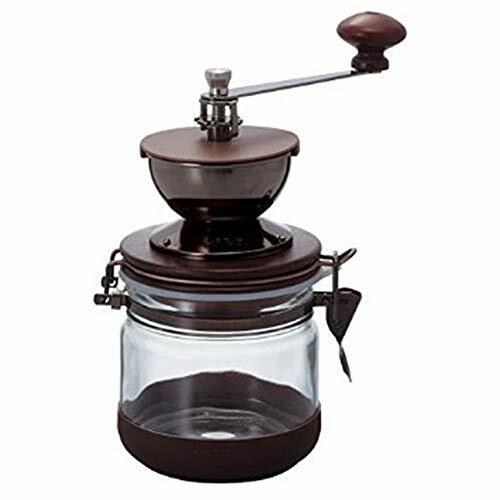 While many other manual grinders look like a cylinder from a space station, this one is antique-inspired and brings to mind coffee in the 1900s before electricity. It’s a fun grinder that makes great coffee. First, you’ll need to figure out the type of coffee grind you want, whether that’s fine or coarse. Add coffee beans to the bowl and turn the handle. Assess the grinds in the small drawer under the unit. You might need to adjust the level of grind a few times to find the perfect one for your needs. There are no dials on this antique-inspired unit. That would ruin the appeal. To adjust the grind, you’ll need to loosen or tighten the burr washer based on your level of desired grind. If you want a coarser grind, loosen the washer and for a finer grind, you’ll need to tighten it. This opens and closes the passage area and moves the burr closer or further away. While you can spend hundreds of dollars on electric grinders, some grinders are meant to be more decorative and perform a simple task. This is a simple, inexpensive model that looks stunning on your counter if you adore that vintage era and want a small token to spice up the kitchen. It’s a delightful choice, and for that delight, you spend much less money. That sounds like a win-win to us! It’s definitely inexpensive, but that doesn’t mean it isn’t well-constructed. The interior parts of the unit are cast iron and stamped steel. 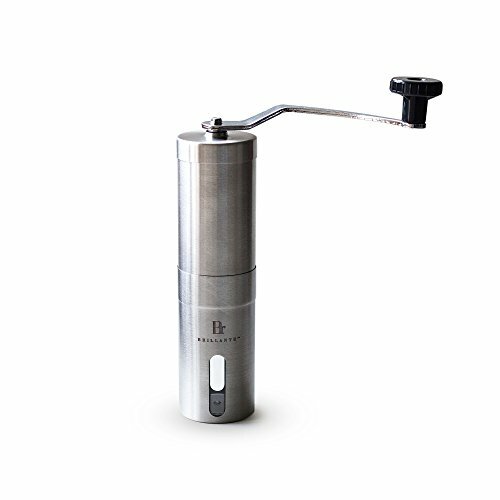 The handle and burr are connected with the use of a steel shaft, so you won’t end up with a broken handle. The exterior of the unit is made of wood with an unpainted interior drawer for the grinds. 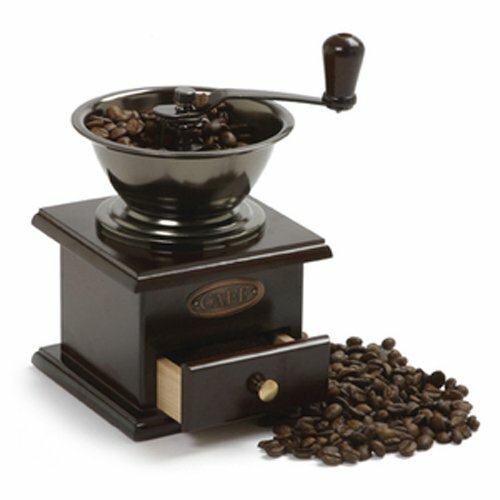 This grinder is great for making coffee grinds each morning. If you’re a fan of manual grinders that bring back the era of fresh ground coffee over an open fireplace, you’re going to love this grinder. It’ll take approximately 40 turns of the handle to make a cup of good, strong coffee, which will give you time to contemplate the fact that you were born way too late. The beans are added to the bowl, and you’ll turn the handle to grind it. The grinds will be dispensed into the drawer on the side of the unit. As mentioned above, we like the way this unit feels. Many grinders feel more space-age than vintage or rustic, and we enjoy the difference in this grinder. Imagine it sitting on the butcher block counter of your rustic, homey kitchen. 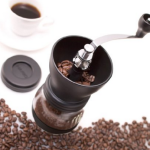 It’s also the perfect grinder for your remote cabin in the woods where you don’t have electricity at all and still want an amazing cup of freshly made coffee. Some customers report that the grinder is cheaply made. We’ve already talked about the steel construction, but the wood can wear over time. When cranking, you’ll need to be careful to not exert too much pressure on the unit. Along with being a great coffee grinder, other customers report that they’re able to grind spices in this unit. We would recommend this only if you’re going to clean the unit completely. You’ll end up with a spice aftertaste in your coffee if you’re not thorough. For the price, you could always purchase two of them. One for coffee and one for spices. This would make a fantastic gift for the coffee lover that adores all things nostalgic and old-world. 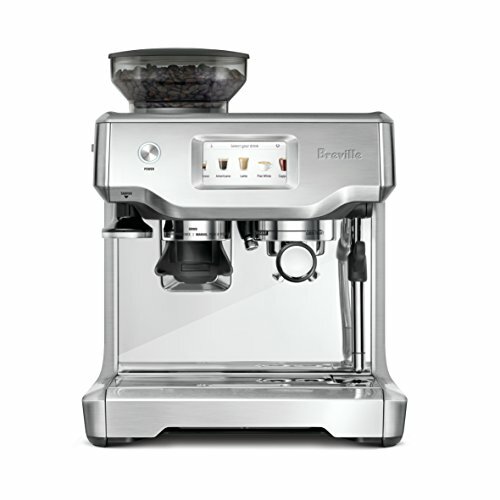 Even those with an electric or manual grinder already will love this unit. 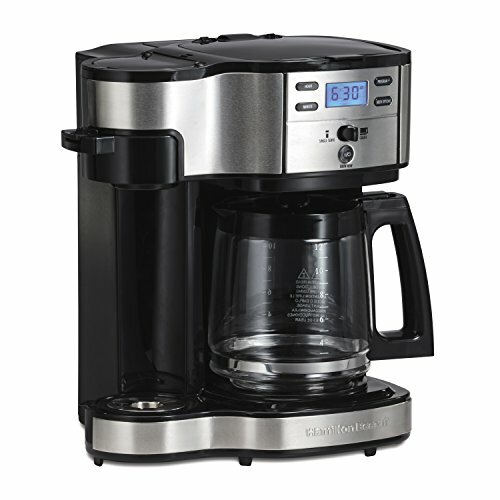 If you’re looking for a unit that will make a large pot of coffee, this might not be the right unit for that unless you want to grind coffee for 20 minutes. It’s meant to be a personal grinder for one or two cups of coffee. With the grinding time, it’s not meant to make large amounts of coffee grinds. The bowl and drawer are too small for that. This unit brings us back in time to a world without electricity but with strong coffee in tin cups by open flames. The tiny plate that says CAFE is a nice touch. It’ll look great on the counter to give the kitchen an old-world charm that it might be lacking. 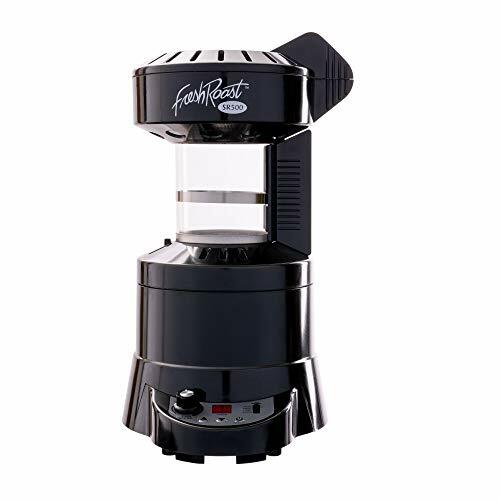 As far as a coffee grinder, it’s an inexpensive unit that does the job it’s meant to do.